When moving valuables to your new home, safety and care are of the utmost concern. This is especially true with a piano move, which is something that the piano movers at My Guys & Storage know well. Our expert piano movers know how to handle these delicate instruments as if they were their own. Our professional piano movers have decades of combined experience in handling everything from uprights to baby grands and more. We have over 25 years of experience handling piano moves throughout the Virginia Beach area so choose the experts you can trust. Pianos can be large, heavy and cumbersome so moving them should really be left to professionals. Luckily, that’s exactly what you get with My Guys Moving & Storage in Virginia Beach. Pianos typically way anywhere from 300-1000lbs and many of them have unique shapes and long legs that can easily be damaged when trying to navigate staircases and hallways. As a family business, we know that a piano is more than just an instrument, it’s a special item that means something to your family. The piano moving specialists at My Guys Moving & Storage have the equipment and knowledge necessary to get your piano to your new home unscathed. Ensure the safety of your piano with assistance from our Virginia-area piano movers. 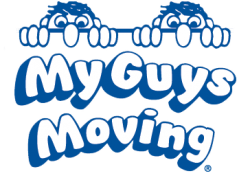 My Guys Moving & Storage in Virginia Beach wants to be the high note of your moving experience. For more information, please give us a call or fill out our online form for a free piano move quote. We do not move just pianos but are happy to move them as part of a larger move.